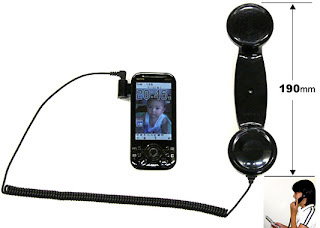 Any Phone is analog-looking handset that plugs in into any cell phone (via SciFi blog). 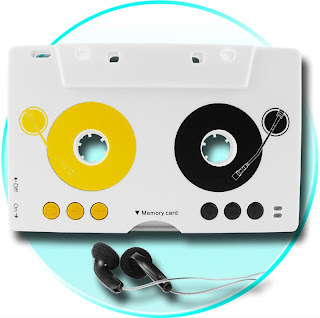 Cassette MP3 Player is an "MP3 Player built into a standard cassette casing, letting you either use it as a uniquely old school shaped MP3 Player, or with any car cassette or cassette player to play MP3 Music." 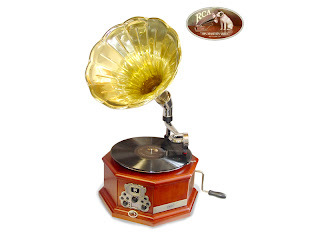 RCA Victrola Turntable CD Radio with Real Metal Horn. 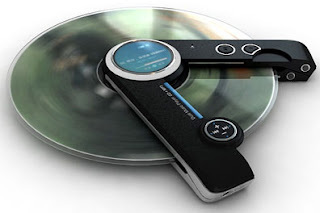 DMP Player -- a prototype of a dual CD/MP3 player. Why is it a retro gadget? 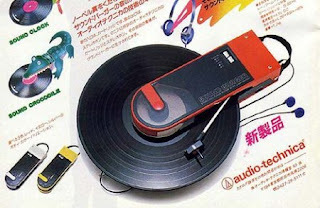 Because it is apparently inspired by the Audio Technica AT-727 Sound Burger, a portable 8" record player from the 80s. 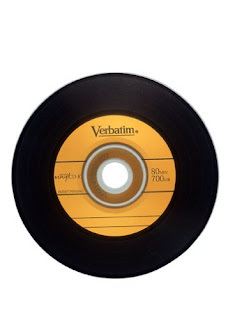 Verbatim's Digital Vinyl CD-Rs modeled after 45 rpm singles, with grooved black circles surrounding album labels in the center.